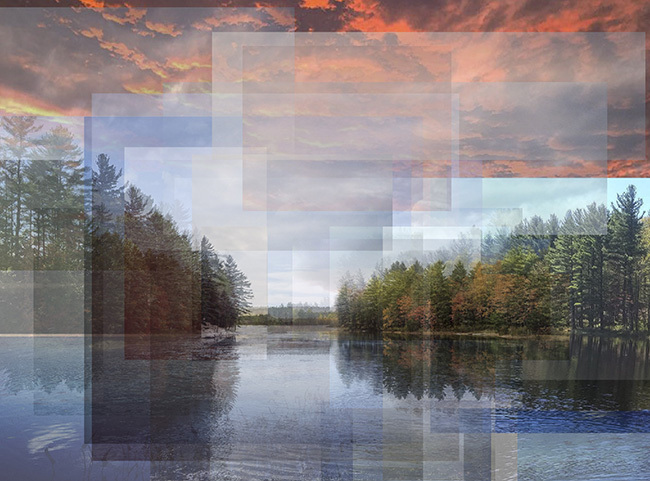 "Each image mimics compositional traits of traditional landscape photography, but with an added human element." The 215-mile New England Scenic Trail runs through Connecticut and Massachusetts, providing valuable access to nature for densely populated New England towns and cities. 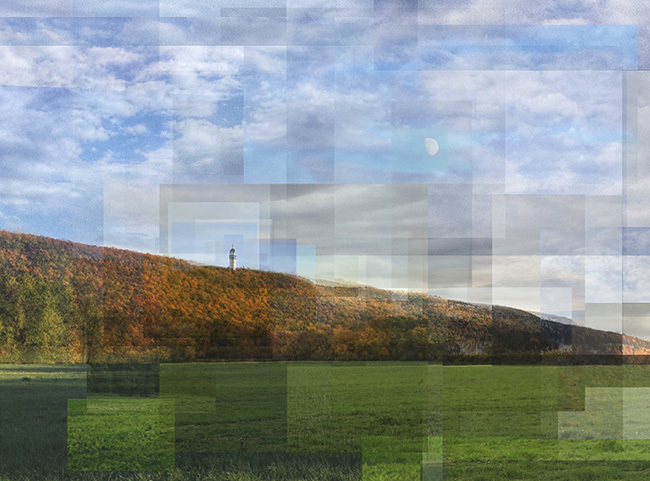 Images in this series are created by appropriating photographs posted to Instagram by hikers. 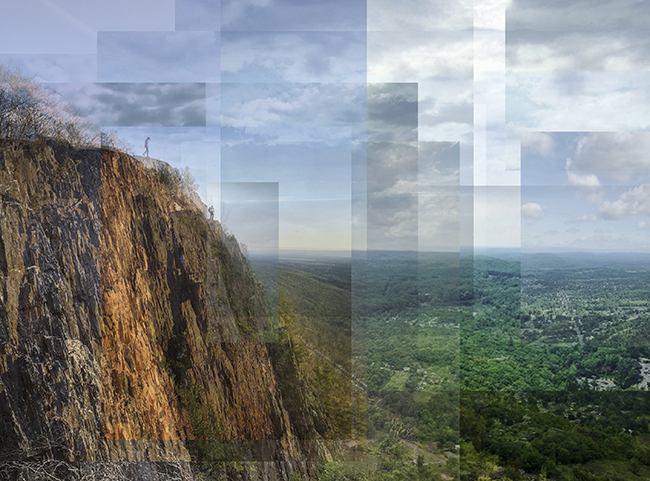 Each piece is made up of 20 to 50 images from popular hikes, creating a visualized record of the communities’ involvement with the trail. 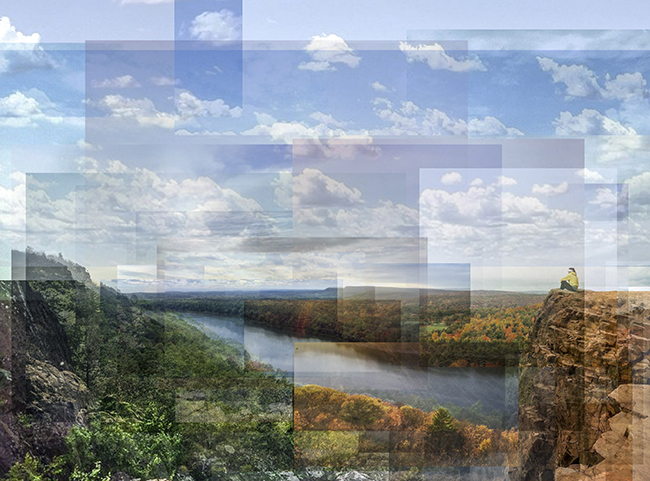 The resulting photographs celebrate the picturesque nature of the New England Scenic Trail’s many vistas. 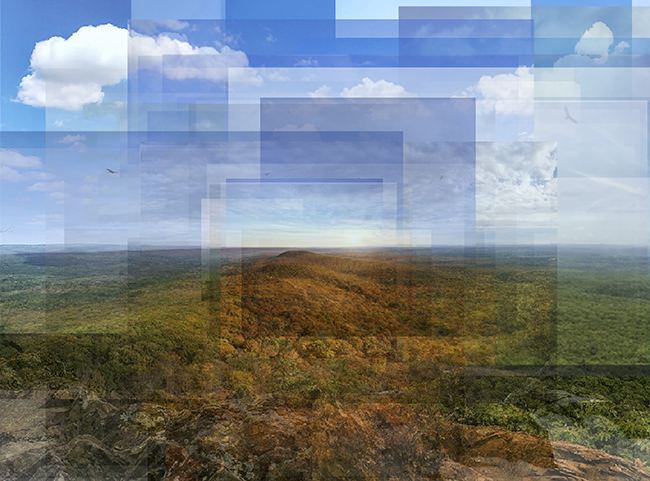 Each image mimics compositional traits of traditional landscape photography, but with an added human element. These images are part of an ongoing community engagement initiative in which the artist has created temporary trail kiosks at trailheads to display these images. Accompanying text invites hikers to consider their photographic engagement with the hike and join a conversation through Instagram using the hashtag #myNEtrail.